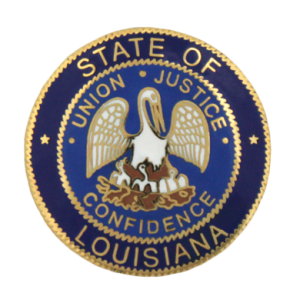 These lawyers were the subject of Louisiana Supreme Court disciplinary orders or Louisiana Attorney Disciplinary Board recommendations that were made public during the month of June 2018. Dianne J. Marshall. The court publicly reprimanded the respondent. She failed to act with reasonable diligence, failed to communicate with clients, and failed to satisfy obligations attendant to terminating her respresentation of a client. Robert A. Lenter. The court granted the respondent’s request for permanent resignation in lieu of discipline. The respondent allegedly mishandled client settlement funds. Marcus Paul LaCombe. The court suspended the respondent for two years, retroactive to the date of his interim suspension. The respondent pleaded no contest to domestic abuse aggravated assault and domestic abuse battery. Timothy John Henry, Jr. The court suspended the respondent for one year and one day, all deferred. The respondent pleaded guilty to a first offense DWI. Arthur L. Harris, Sr. The court revoked the respondent’s probation and imposed the previously-deferred one year and one day suspension. The respondent failed to cooperate with his probation monitor as required by his probation agreement. Sean C. Brazil. The court granted a joint petition filed by ODC and the respondent seeking interim suspension. Robert O’Neal Chadwick, Jr. The court suspended the respondent for one year and one day, with all but six months deferred. The respondent was arrested for DWI. Clara E. Toombs.The court transferred the respondent to disability inactive status. Michael L. Thiel. The court disbarred the respondent, retroactive to the date of his interim suspension. The respondent pleaded guilty to federal tax evasion. Melanie K. Shrell. The court transferred the respondent to disability inactive status. George Martin Gates, IV. The board recommended the imposition of a six-month period of suspension, fully deferred, subject to unsupervised probation of one year. The respondent failed to cooperate with the ODC, neglected a legal matter, failed to return an unearned fee, and failed to pay a sanction as ordered by a court. Mitchell M. Evans, II. The board recommended the imposition of a one year and one day suspension. The respondent provided incompetent representation; took action on behalf of clients without authority to do so; acted without reasonable diligence and promptness; failed to keep clients reasonably informed; failed to return the unearned portion of a fixed fee; engaged in dishonest, fraudulent, or deceitful conduct; and, engaged in conduct prejudicial to the administration of justice. Gregory Timothy Discon. The board recommended that the respondent be disbarred. The respondent stole $50,000 from a client and his law firm, falsified documents to cover it up, and forged the signature of a judge. Juan Carlos Labadie. The board recommended that the respondent be disbarred. The respondent made statements with reckless disregard for truth or falsity regarding a judge’s campaign for reelection, failed to timely file a client’s matter, and acted without a client’s knowledge or consent. George Allan Roth Walsh. The board publicly reprimand the respondent. The respondent failed to pay bar dues and disciplinary assessments, and failed to submit annual registration forms. The respondent’s conduct was negligent. Deidre Katrina Peterson. Hearing Committee #08 recommended that the formal charges against the respondent be dismissed. The committee found that the ODC failed to prove by clear and convincing evidence that the respondent violated the Rules of Professional Conduct. The committee found that the respondent acted with reasonable diligence and timely communicated with her client. Trisha A. Ward. Hearing Committee #10 recommended that the respondent be conditionally readmitted to the practice of law. David Gardner DeBlieux. Hearing Committee #25 recommended the imposition of a one year and one day suspension. The respondent was arrested for domestic abuse battery, simple battery, criminal damage to property, home invasion, and entry into an inhabited dwelling.